The name Harry Potter is one familiar to most, given its prevalence in pop culture. The Harry Potter franchise’s beloved sport, Quidditch, has made its way into the Muggle (non-magical) world, having become a semi-professional sport. 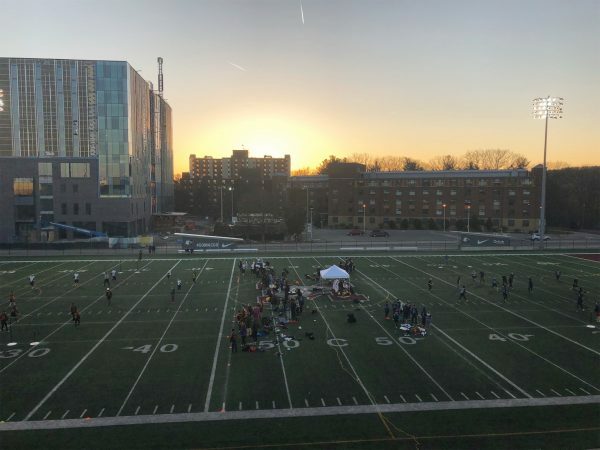 On March 23 and 24, Quidditch Canada held their 2019 National Championship at Ron Joyce Stadium and Alumni Field. 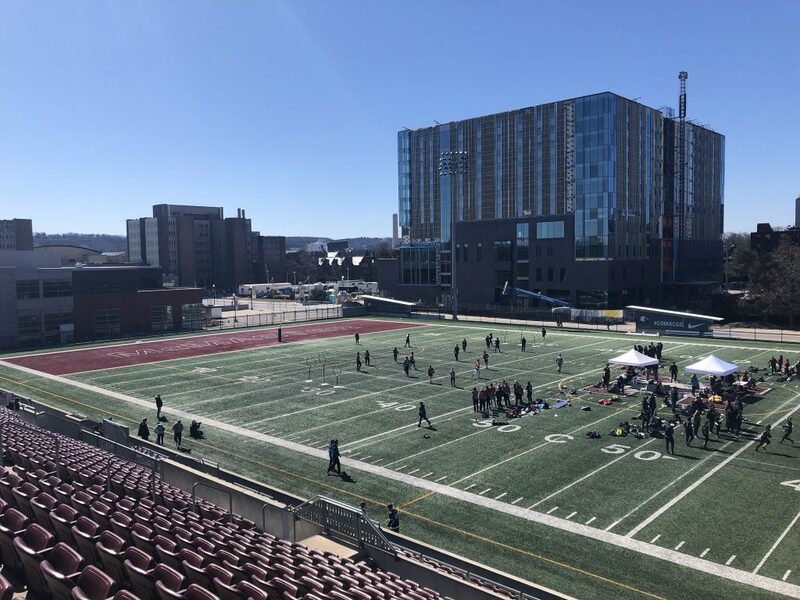 Fifteen teams from across Canada, coming from Ontario, Montreal, Edmonton and British Columbia, participated in the two-day tournament, bringing the sport to life. Morgan has been playing the sport for eight years, and has loved watching the sport grow. She began getting involved with Quidditch due to her love for the fandom and the impact that it had on her life. It is amazing to see the ways in which a community of Harry Potter fanatics has turned into a community of athletes. The sport encourages players from all backgrounds and demographics to participate, creating a diverse and welcoming environment. 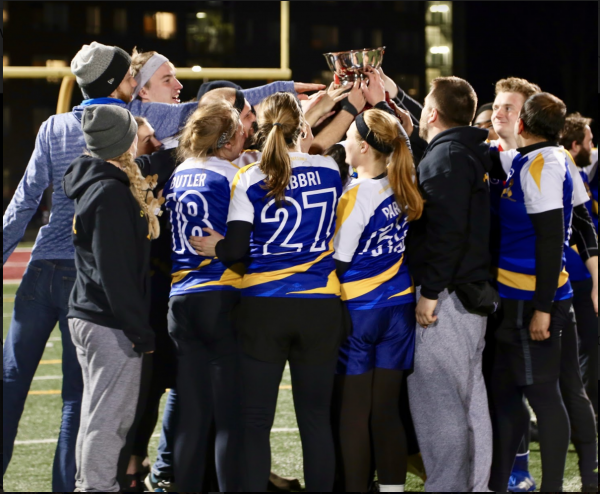 This combination of community and a genuine love for the series and its fictional world is what drives the existence of Quidditch competitions, such as the one just held at McMaster. “It is a very supporting and welcoming community of people and I think that is what motivated me to stay the sport, and become a better athlete,” said Morgan. The game is made up of several positions: chasers, who drive the ball and get them through the hoops, beaters who combine tackling with strategy, and seekers. Each position appeals to different strengths, allowing people to excel and specialize in different areas of the sport. At the 2019 National Championship, the Ottawa Otters and the University of Guelph faced off in the final match. The Otters won the tournament, with a final score of 250^ to 200*. The Vancouver Storm Crows placed third, beating Valhalla Quidditch, a team from Toronto, in the bronze medal match, with a score of 100* to 50. It is evident that Quidditch is not just a fictional sport created by J.K. Rowling, but rather a tough and competitive sport that anyone can excel at. The Canadian National Championship is a prime example of the ways in which the combination of passion, community and athleticism can bring magic out from the pages of books and into the lives of fans and athletes. Quidditch is definitely a sport to watch and one that deserves recognition in the world of international sports. This sport is definitely a ‘keeper’.